Bob Osgood published in 1954 a Five Year Book that printed every dance that had been published in Sets in Order in the first five years. In 1956 he issued the first Yearbook that included everything from 1954–1956. Thereafter for the next six years he published a book for every year through 1962. It's about then that MWSD stopped using "named" routines except for singing calls. 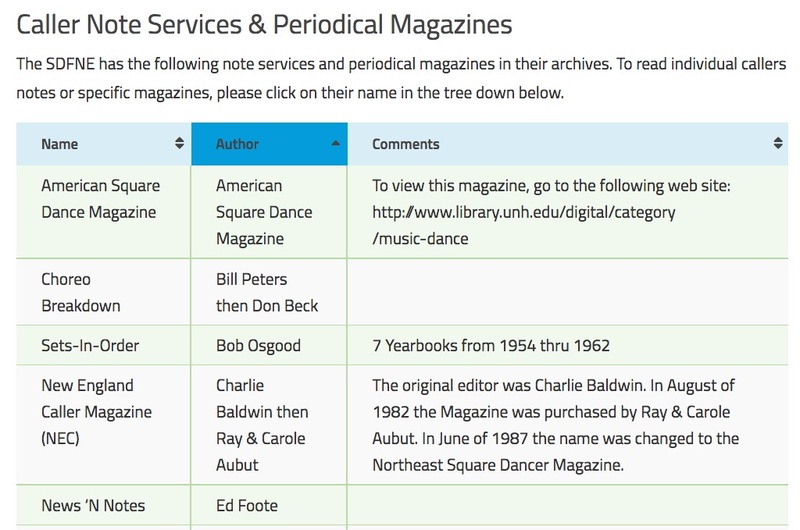 The yearbooks have been digitized and are now available on the website of the Square Dance Foundation of New England. The link provided takes you to a page with many options; scroll to the bottom and click on the Sets-in-Order folder to open up a series of additional links, each one to a different issue. The Yearbook set is a very thorough record of a huge collection of square dance routines. In the digitized format they can be searched for a named dance. Gardner Patton has created an index to the Yearbooks on his website. Note: The entire run of Sets in Order is also available. See the Related Items for appropriate links. 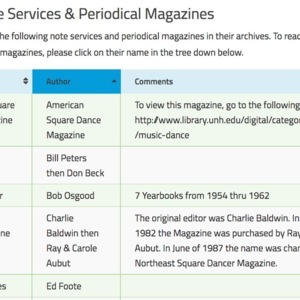 Bob Osgood, “Sets in Order yearbooks,” Square Dance History Project, accessed April 24, 2019, http://squaredancehistory.org/items/show/1654. Gardner Patton did the digitizing; Jim Mayo suggested adding this to the SDHP site.